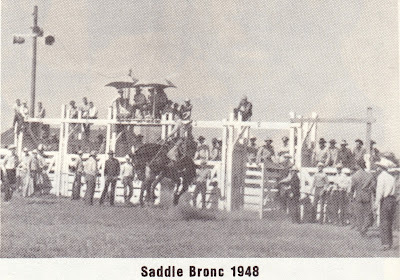 Water isn't necessarily the first thing people think of when they hear "Nebraska". Most are surprised to hear that Nebraska, a land-locked state in the middle of America, actually has more miles of shoreline than any other state. You can see the truth of that by looking at the map below. Besides the Missouri River on our eastern edge, dozens of rivers traverse the state nearly border to border. 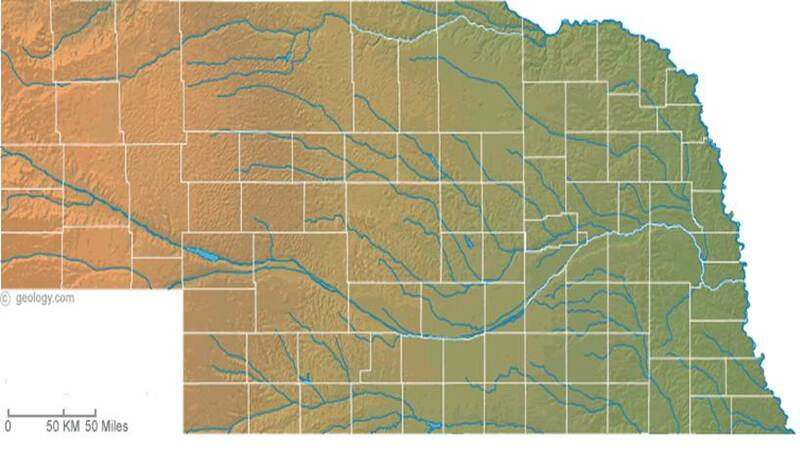 Many of these rivers, and dozens more creeks and streams are spring-fed from the Ogallala Aquifer. Not only is the aquifer important for Nebraska, you can see from the map that it is important for the entire Great Plains region. It is no secret that I love Nebraska and especially the Nebraska Sandhills. 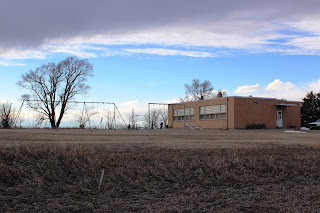 They have figured prominently in many of my blog posts like "Nebraska Beautiful". Here is one of my favorite views of the North Birdwood Creek area just north of Sutherland. Nebraska's incredible ranching industry, which supplies beef to the world would have never been possible without the windmill allowing access to the water of the Aquifer. Even in the dry conditions of late summer, when rain is badly needed, the Sandhills have their own stark beauty. There are a lot of opinions on the XL Pipeline. There are many extremist views on both sides, with a lot of rhetoric being thrown back and forth. While I don't believe everything I read, I believe enough of it to be afraid... very afraid of the ROUTE of the pipeline. I'm not opposed to the pipeline itself. I know I'm being a hypocrite about this. A pipeline came through this area a few years ago, west to east, and I didn't give it a second thought. Until the Gulf disaster, I never thought to question what was flowing through the pipeline. However, I am of the opinion that there are better routes for the pipeline than through the heart of the Nebraska Sandhills, directly on top of the largest body of fresh water in the world. And a great, even-handed guest opinion on the Nebraska.StatePaper.com. Now Nebraska Governor Heineman has called a special session of the Nebraska Legislature. Many say it's too late, and that blocking the pipeline or rerouting it could open Nebraska up to lawsuits. A colleague commented on a completely unrelated topic we were discussing "The best time to plant a tree is ten years ago... the next best time is today." We were working on a community redevelopment project, but the concept holds true here as well. Even if Nebraska can't do anything about the XL Pipeline (and I don't think that's a given), it shouldn't stop us from taking over the authority of the pipeline routing process in the future. 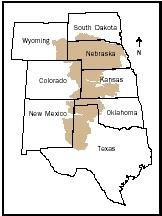 It's our state... our natural resources... our Sandhills, and we are the caretakers of the Ogallala Aquifer for the entire Great Plains. Big Business (and especially Big Oil) can't be trusted. Can you say BP? Or ExxonMobile? Big Government can't be trusted (meaning no disrespect to the colleagues I have been working with over the past few days). Think of "cash for clunkers", TARP, auto industry bailouts, and the fallacy of "shovel ready" construction projects. All of these were to be the "magic bullet" that rocketed the U.S. out of the economic downturn. Do we really trust the geniuses behind these programs with something as basic as the water supply for millions of people? There I've said it. Agree or disagree, it's my opinion. Thanks for stopping by. The coffee is always on (being from a small town, I believe most issues can be settled over coffee at the local cafe). I didn't realize how much shoreline Nebraska has. By the way, I'm reading "Old Jules" to Art every night before we go to sleep. Thanks for the recommendation! I would like someone to exlpain all the jobs that will be created with this pipeline.Last pipeline that went tho this area, they brought in their own crews, stay for a month or two & then moved on. Will it be the same with this pipeline. Why aren't we just using the oil that they are finding in N.D.???? I agree, Anonymous. I've heard the same jobs, economic impact and tax figures, but I understand the actual construction will take only months,then those jobs will be gone. It doesn't take many people to maintain a pipeline. I do understand that there are to be some NPPD electric transmission lines built in conjunction with the pipeline, but those, too will only result in temporary jobs.